Key Difference: New York cheesecake is known for its rich and smooth texture that it gets from the extra yolks that are added to the batter to get the creamy texture. Chicago Cheesecake is known for its firm outside and soft and creamy center. The creamy center is from the extra cream cheese that is added to the batter. Imagine a cake with everything you love in it – cheese, cake, fruits and even cookies. That’s right it’s a cheesecake. Cheesecakes are a beloved dessert worldwide and a found in many different variations.The two most popular cheesecakes are New York Cheesecake and Chicago Cheesecake. These two places are famous for their cheesecakes in the United States. Many people believe that the United States, or rather New York is responsible for providing the world with such a perfect slice of heaven; however, this dessert can be dated back to even before the discovery of New York. According to artifacts uncovered, cheesecake was a part of the diet of Ancient Greek over 4,000 years ago. The first cheesecake is believed to have been created on the Greek island of Samos. Although, a little different from what we find now. It was later brought back by the Romans to Rome and served to athletes during the firstOlympic Games in 776 B.C. It was considered as a good source of energy. The first written cheesecake recipe recovered is believed to have written in in 230 A.D., around 2,000 years after it was first believed to be served. The recipe was pretty simple and included pounding cheese until it is smooth, after which it is poured in a brass pan with honey and spring wheat flour. The mixture is heated until it is one mass and then allowed to cool. With each generation and decade, the recipes have been changing and even today many today each country, state, city and even family members have their own recipes of cheesecakes. These recipes have survived thousands of years and have been continuously modified to the slice of heaven we can now find on the bakery down the street. Today cheesecakes are primarily made from cheese (varies depending on the country, but mostly cream cheese in the US), eggs and sour cream. 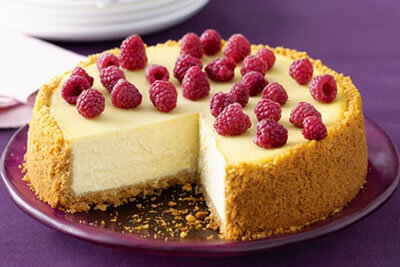 Two places are very popular for their cheesecakes – New York and Chicago. While, to many it may seem like that they are similar or even the same; cheesecake aficionados can spot the differences a mile away. New York cheesecake is known for its rich and smooth texture that it gets from the extra yolks that are added to the batter to get the creamy texture. It is also made in a tall springform pan that allows it bake evenly. It is more dense and heavier in flavor. The cake is also bakedfirst in high temperature, after which the temperature is reduced to get a more brown outer crust and thick center. New York cheesecake crusts are mostly made from graham cracker cookies that are pounded and then blended with butter and sugar. 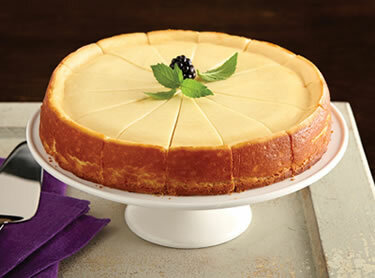 Chicago Cheese cake is known for its firm outside and soft and creamy center. The creamy center is from the extra cream cheese that is added to the batter. These cheesecakes are often made in a greased cake pan. Chicago cheesecakes are fluffier in texture and flavor. These cakes are often made separately and then put together to bake for about an hour before they are cooled again. Chicago cheesecakes crusts are most commonly made from shortbread that is crushed and mixed with sugar and butter. The differences mentioned above are not rules that are usually followed when it comes to baking. These days many Chicago cheesecakes are made in springform pans and even given a graham cracker base. New York cheesecakes have shortbread crusts and can also be creamier and fluffier. These lines between the different kinds of cheesecakes are blurring and giving us the best of both worlds.